I had an idea. A crazy idea. 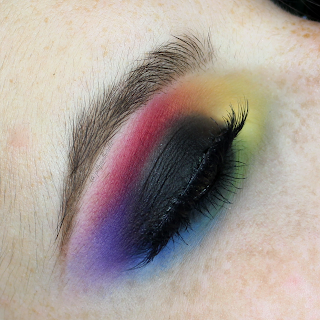 I wanted to do a super blown out black eye but the center is black and it is blown out in the colors of the rainbow. In my head, I called it the "Rainbow Blackhole." This idea finally came to fruition, and I posted it on my Instagram. 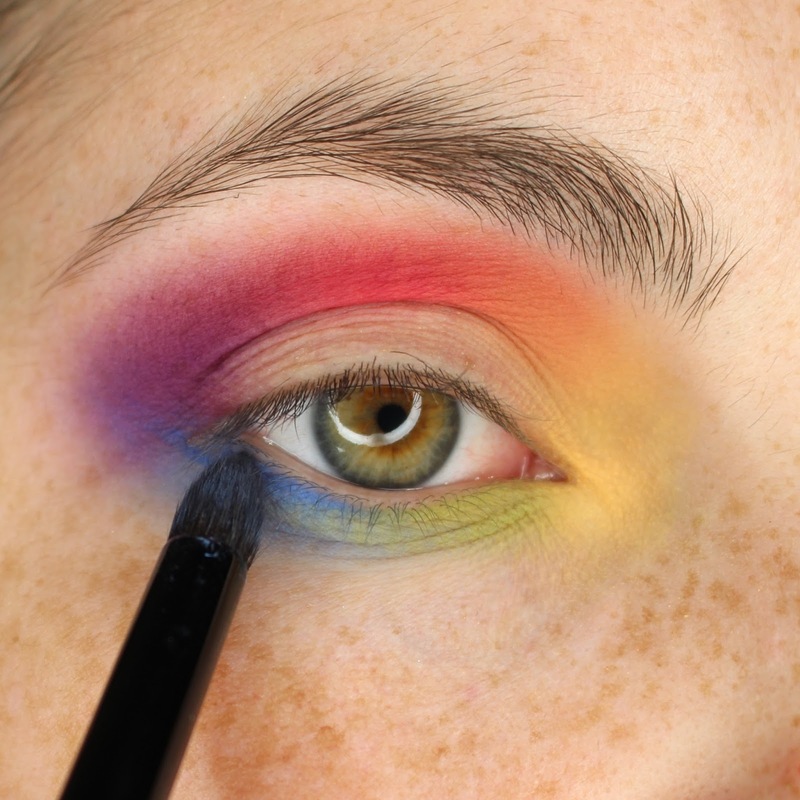 I got such a positive reaction that some followers wanted a tutorial. 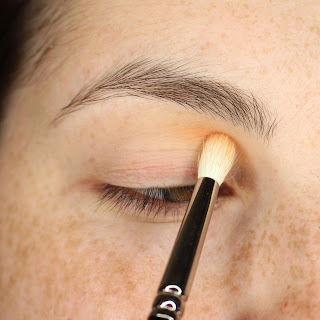 Today, I finally post the tutorial I created here on my blog. Keep reading after the jump for the pictorial! Add your first color (I used peach) to the inner, upper crease. Whenever you add your colors, you can start wherever you want and whatever color you want. Do what is easiest for you. I found it much easier to start on the upper lid and inner corner first. Also, I find lighter colors look better in the inner tear duct. Whenever you progress to the next area and add a new color, do it in a rainbow sort of fashion. So, if you add a color next to peach, it should be red or yellow, and so on for other colors. That is, if you are keeping to a traditional rainbow look here. 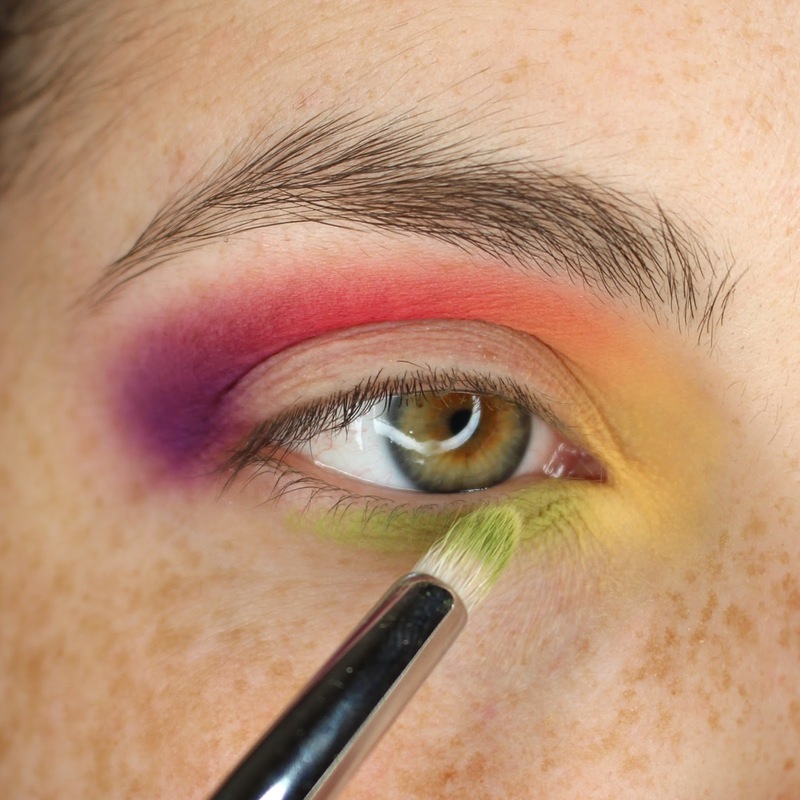 Add you next color (I used yellow) to the inner tear duct area. 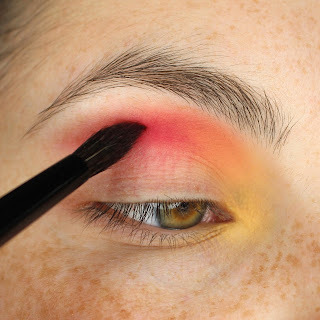 Add the next color (I used red) in the middle crease area. Add the next color (I used purple) to the outer crease/corner. 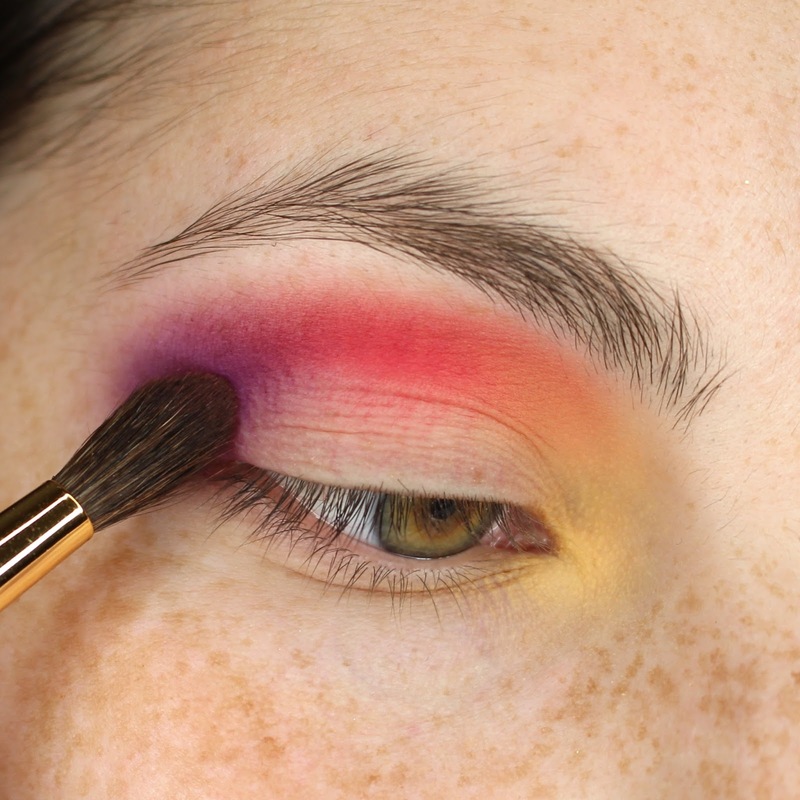 I had a little trouble blending this shade later on in the look. I highly recommend adding lighter purple base shade to make it blend better. I used Dawn Eyes Cosmetics Pastel Purple Matte for this purpose. I used this method for the first to pictures on this post. Add the next color (I used green) on the inner lower lash line. 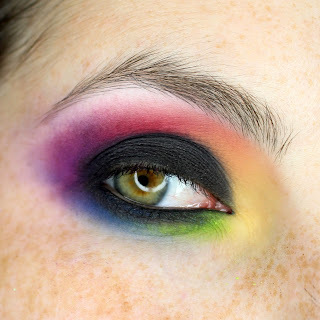 Sugarpill Acidberry was later used later on. Add the next color (I used blue) to the outer lash line. Now, your rainbow base should be complete. 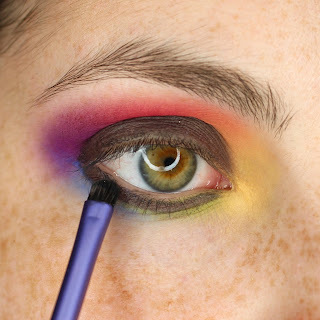 Now, we can start to add the black center to this blown our smokey eye. Add a black base for our black shadow. 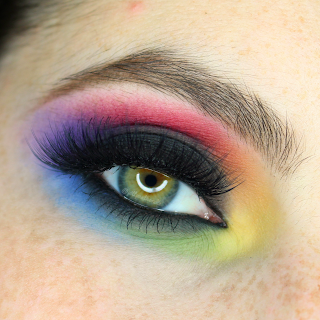 This should be done on the lid and lower lash line. 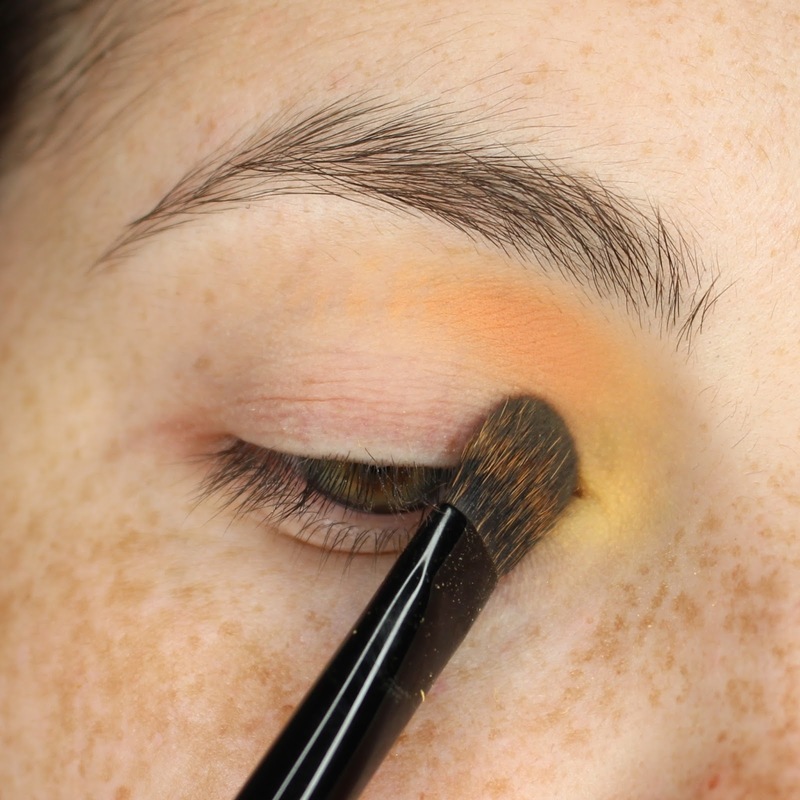 Add the black shadow on top and blend. Perfect the look, add lashes and mascara, and done! 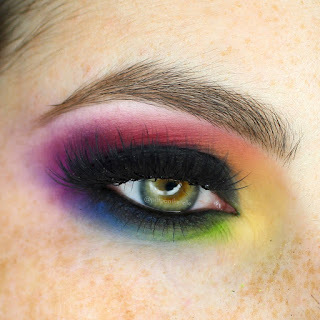 Eylure Vegas Nay Grand Glamor Lashes were used in the first few photos of this post. I hope that you enjoyed the tutorial! If you recreate this and post on Instagram, make sure to use my hashtag #pittpantherelle so that I am able to see it! If you post on reddit, mention me in your product list that you post! I love seeing and hearing people recreating my looks!